Hi, my name is Maggie and I am a Master's-Level Board Certified Pastoral Counselor. I specialize in helping those struggling with emotional and relational issues. 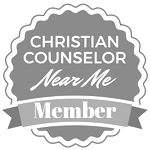 I am certified (BCPC #0873) by the Board of Christian Professional and Pastoral Counselors. I received my Master of Arts (MA) degree in Pastoral Counseling and Christian Leadership from Liberty University, Lynchburg, Virginia. I earned my Bachelor of Arts in Human Development from California State University, East Bay. 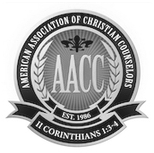 I am currently a doctoral student at Grand Canyon University and a member of the American Association of Christian Counselors. I am a native of Southern California, born and raised in Los Angeles, where I lived and worked throughout my early adulthood. I began my educational journey in hopes of working in the medical field. This all changed when I followed the call to ministry in 1975. My goals were redirected in pursuit of ministerial education and training. A couple of years later, I married my husband of 38 years. Our family has grown with five children, and now seven grandchildren. Over the years, we’ve been involved in church related positions, as well as various business projects and ventures. As associates in ministry, my husband and I pioneered and pastored a church for 15 years in the Inland Empire region of Southern California.